I am trying to replace all of the household cleaners and body products in our home with natural, mostly homemade, alternatives. As I come close to running out of a chemical filled product I search for a natural, and cost-effective (AKA cheap), alternative. A few weeks ago I was almost out of my shampoo and conditioner. I began to research what was in shampoo. I was quickly disgusted. Would you put Drano or Anti Freeze on your head or your children’s head? That is what you are essentially doing when you use products with Propylene Glycol, Ethylene Glycol, or Sodium Hydroxide. These are primary ingredients of most antifreeze and drain cleaners. They are also common in shampoos, lotions, and even toothpaste! The main reason we are switching to no ‘poo is for our health. The number of chemicals in shampoo and other bath and body products is frightening. Your skin is the largest organ on your body. Whatever gets put on your skin gets absorbed into your body, into your bloodstream and into your organs. Scary stuff folks. I had been using Sulfate free shampoo and conditioner. The brand I was using boasted that it contained rosemary and juniper. Yes, rosemary and juniper were listed in the ingredients…at the bottom of the list. At the top of the list was Propylene Glycol. YUCK!! 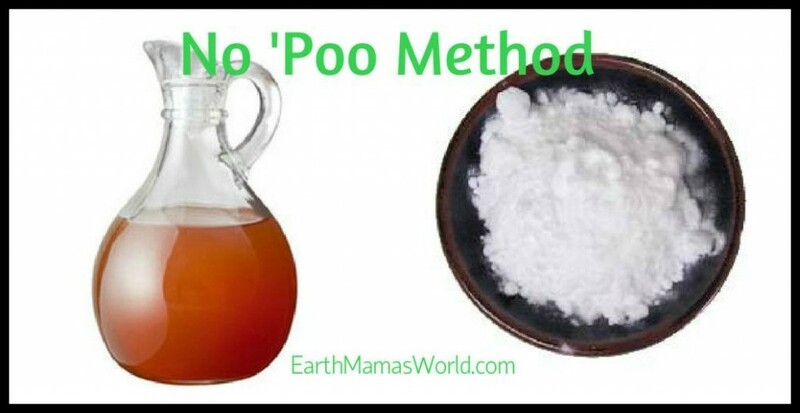 A friend of mine mentioned the no ‘poo method to me. I was intrigued. I began to read about the concept of no pooing. The decision was easy. We would begin to no ‘poo! 2. Chemicals in shampoo can irritate and dry out your scalp and hair. 3. Chemicals in shampoo can be hazardous to your health. 4. Your body produces oil to naturally condition your hair and keep it healthy. Using shampoo daily upsets the natural balance and causes you to produce more oil than necessary to compensate. I admit that I was skeptical about how my hair would handle the switch because I have long, curly, and often frizzy hair. Honestly, I couldn’t imagine my hair without a super moisturizing conditioner. I quickly switched my kids over to the no ‘poo alternative. It worked great and no more tears from the product getting into their eyes! I took the plunge and made the switch for my head. I read that you may experience a transitional period while your scalp adjusts but I didn’t. I am three weeks in and my hair actually looks better than it did when I was using the chemical filled products. I mix up the ‘shampoo’ and ‘conditioner’ in a squirt bottles for ease of use. Mix 1 tablespoon of baking soda per 1 cup of water. Work this through your hair and rub into your scalp well. I let it sit on my hair while I shave my legs. Rinse well. Mix 1 tablespoon of apple cider vinegar per 1 cup of water. Work this through your hair then rinse well. The smell will go away once you rinse. If the vinegar smell gets to you too much add a drop of essential oil such as lavender. As I mentioned I have curly/frizzy hair. My hair is also coarse. To avoid I rub a few drops of coconut oil or macadamia nut oil (I switch it up) through my towel dryed hair. If your hair becomes frizzy, try using less baking soda or leaving it on for a shorter period of time. If your hair becomes greasy, try using less apple cider vinegar. 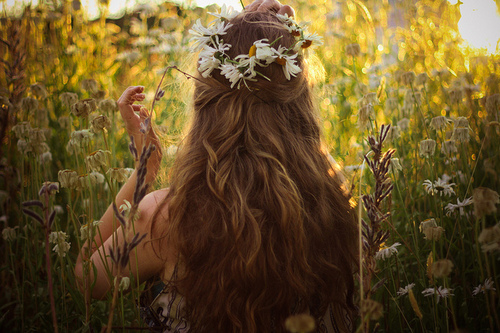 If your scalp itches, try the following essential oils; tea tree, lavender, rosemary. As I said previously, my hair looks better than it did before. I am so happy that we have successfully eliminated another chemical containing product from our home! Thank you so much for reading and good luck if you decide to use the No ‘Poo method of cleaning your hair! 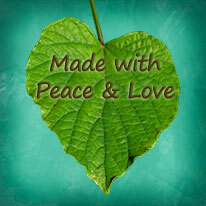 To see a list of all of my natural living recipes please click here. ← We Finished Our Human Body Unit!! I’ve tried no pooing a couple times but my hair was so icky feeling and limp (I gave my hair time to adjust but it never got better) that I went back to poo 🙁 I’d love it if I could find a way to make it work. I really wish I could have done no-poo. The problem here? Hard water. Not just a little hard. Epically hard water that turns up rust stains and lime build-up in under two weeks kind of hard water. I put a filter on the shower head, boiled my water before making the baking soda mix, tried white and cider vinegars, added and didn’t add essential oils… My hair itself was gorgeous – the length of it, anyway. At the back of my head, I developed a greasy mat that would only go away if I actually soaped it out. So, while no-poo was spectacular for the ends of my long, thick, coarse, frizzy, hennaed hair, it left me with a horrible grease patch at the roots (even six months later!) – all due to hard water. I’d get a softener, but I’m renting, and that’s more than I care to spend on someone else’s house. ^_^ Someday, I’ll be able to do this. But until then… sometimes it’s more than just proportions. Sometimes there are other factors in play that make this hard. Borax is a mild water softener. Maybe it can help! I’m with you on this one. I could barley get a comb through my thick, course hair as well! The oils then made my hair feel oily and yucky. I have though found plenty of non poo shampoos and conditioners that do work well. I always buy no sulfates etc…Good luck! Tried ‘No Poo’ today – looks good after drying! I’ve been no-pooing for over 2 years now. I really love it. I hit a rocky period for a few days but am so glad that I stuck with it! Can you make a batch or is it better to make it as you use it? Catina, I make a batch of it and just shake it up really well. Thank you so much for stopping by! Pingback: Bookmark Worthy Posts – from NPN Volunteers! I started no pooing 2 weeks ago. Recently my hair started becoming VERY static-y. I tried a little coconut oil but it’s way too greasy. Any suggestions?! How often do you wash a week using this method? I use this method once every 3, sometimes 4, days Amy. So very interested in the no poo method, but super scared to try it . Well I figure Ill give it a go anyways. My daughter is 5 with super curly hair….. and mine is heavy and straight, I hope it works out for us !!! Wish us luck!! ! Hi there….. I have very thin, fine hair and am a little scared about trying this method but I want to get away from all the chemicals. Is this method good for fine thinning hair? I also want to dye my hair as I’m getting alot of grey now… i haven’t dyed my hair in almost a year and i just turned 35…. so I want to get rid of my greys again. Is this method safe for colour treated hair. Hi Jasmin, I used to have thick hair but as I age it is getting thinner and I have been known to dye my hair. So, I have thinner hair and it is often color treated and I use the No ‘Poo Method and love it. Good luck!! I’m really surprised you don’t use henna! I would like to mix this up in batches, just for convenience sake, maybe in old dishwashing detergent bottles. If I do that, how do I know how much to squirt on my hair? One bottle probably holds 3 cups approximately. Would I use a 1/3 of it per washing? You say you use this once every 3-4 days….so what do you wash with on a daily basis? I’m on my third day of the No Poo method..I added a drop of cinnamon and orange essential oils into the ACE. I have super oily hair that’s more than half way down my back and I have to wash everyday or I look like I haven’t washed it for days!! So by the third time I have noticed my scalp isn’t oily but my hair is difficult to brush and blow-dry (I style my hair with a curling iron or straightener). So I am going to attempt a natural detangler to see if that helps. I will keep you posted. I love your blog and can’t wait to make my own deodorant and toothpaste; I’m thinking of making the lotion and putting it in cute jars as Christmas gifts this year with some of my baking. The transition can be tough. I don’t style my hair so I am not sure how that would affect it however, I know people who use the no ‘poo method & style and it works for them. I am excited to hear about your detangler. Stay tuned before you make those gifts….I have spent 4 months perfecting an amazing homemade body butter, I will post it this weekend (I am giving it for gifts this year too, shhh). I am a guy. I will never use traditional shampoo or conditioners again. I have type 2c long hair and use rye flour, water for shampoo, and alternate types of conditioner, aloe, ACV, etc. Turning 60 in November and my hair is healthier than it has ever been in my life. Better than it was in the 70’s when I had long hair too. It doesn’t hurt that I also eat very healthily either. Plus my starting gray hair went away? I found baking soda too harsh but the rye flower is perfect for me. It has been over 5 months now and am glad I switched. 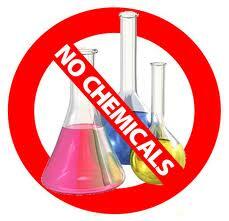 Too many bad chemicals in traditional hair products that are absorbed through the skin and are accumulative over time. You’re right, of course, that chemicals in regular shampoo are getting out of control. But honestly, organic shampoo brands that can be bought online is not as expensive as before. In addition, the benefits of using these natural shampoos are orders of magnitude better than sticking with regular shampoo. The “no poo” method sounds really interesting and I definitely would like to try it. Actually, I sort of tried it once but I gave up pretty early in so I don’t know that it counts. Great post, and tons of information! They say you shouldn’t use baking soda in your hair because ph balance is too basic for your hair’s natural composition. I tried this method for a few months before getting frustrated, and feeling awful about my hair. I thought it might just be me, but there’s a scientific reason why the baking soda and ACV made my hair react the way it did. I’m not sure about the idea of putting straight baking soda on my hair or skin. Yes, you neutralize it with the vinegar, but I just don’t think it’s a good idea, especially if you let it sit. You would be better off making natural soap than putting the basic ingredients (I,e. an alkaline, an oil and an acid) separately on your hair and scalp. I also don’t think my kids will tolerate this multi-step process. for over a year I have been using rye flower and am pleased. at first my scalp itched for several months but my hair was clean, full, and the good part I could go 6 days without washing it. When I used shampoo it was every two days tops. Mix two tablespoons with enough water to make a pourable paste – not too runny or too thick. Work it into your hair……….now you have to rinse and rinse and rinse to get the rye bran out. To me that is worth it. No more chemicals, or having to wash my hair every two days. I don’t use hair spray or conditioner so I can’t tell you how it would work. Baking soda is too harsh for hair. It has to do with the ph. If someone has already posted about the rye flour just add me as sold on this method of cleaning my hair. Soooo this might sound gross to some but I have a nearly 3 year old daughter and I have not washed her hair since she was a baby. She is a typical messy toddler but we just rinse her hair in the bath or shower with no shampoo. The oils just seem to regulate themselves and her hair is beautiful and not greasy at all. This will probably change when she gets older but she has really sensitive skin so it works great now.